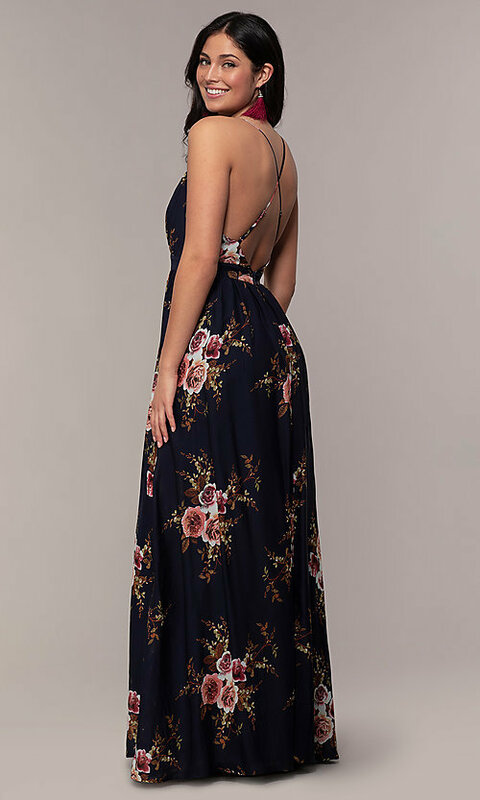 Slip into this long floral-print formal dress for prom 2019 or a gala. In silky soft chiffon, the romantic evening dress blooms with a beautiful floral print. Adjustable straps cross the open-back dress and connect to the v-neck bodice that plunges alluringly to the natural waistline. The jersey-lined chiffon skirt flows with a loose fit to the floor-sweeping hem of the floral-print dress. At well under $150, this long formal dress by Simply is a bargain for thrifty fashionistas on a budget. The model is 5'9.5" and wearing flats.